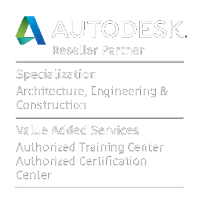 Autodesk® InfraWorks software provides 3D modelling and visualisation technology for desktop, web, and mobile platforms that supports Building Information Modelling (BIM) workflows. Civil engineers and planners can help deliver small and large scale projects, by more efficiently managing infrastructure models created from existing data sources. Our Infraworks training courses are run as bespoke courses at either our premises or yours and are tailored to suit your exact requirements…. whether you’re a complete beginner or looking to develop more advanced skills, the course will be pitched at the right level for you with expert guidance throughout. These Infraworks training courses will give participants the ability to create preliminary designs and sketches that illustrate initial proposals to others involved in the project. By the end of the course users will be able to communicate project scenarios to a broader audience, including stakeholders via different platforms and improve team collaboration by sharing models centrally and more securely in the cloud. Enquire about our Infraworks training courses today!